Ideal for environments requiring constant glove changing. Packaged in convenient dispensing bag. 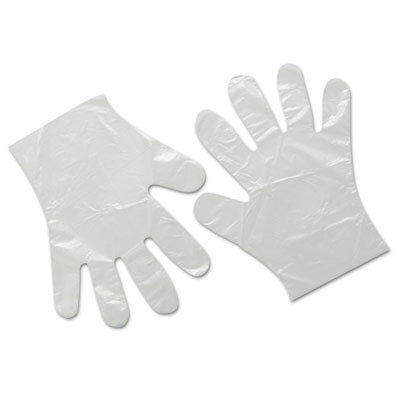 Ensure sanitary food prep conditions with these economical, single-use gloves. Easy-on, easy-off design helps enhance worker efficiency. Polyethylene construction alleviates concerns about latex allergies. Convenient dispenser bag minimizes waste. Click here to see more Disposable & Single Use Gloves!